Are you there, blog? It’s me, Susan. Frenetic pace aside, the last few weeks have been draining. It’s a good problem to have when your resort is so busy that you cannot find the right moment to take a day off. But it is a bad problem, personally, when you cannot find the right moment to take a day off. For anyone in the seasonal hospitality business, the start of the school year is a dreaded reality. The summer staff are solely focused on Frosh Week and moving into residence while I am busily focused on the treads of my new running shoes, hoping that they will carry me through until Thanksgiving. And while I am intent on putting forth 100% to make everything at work a glowing success, my personal accomplishments become non-existent. But the past two and a half days have been, thankfully, concentrated entirely on my needs. I slowly morphed back into all of the roles I had been ignoring and gained some of my life back. 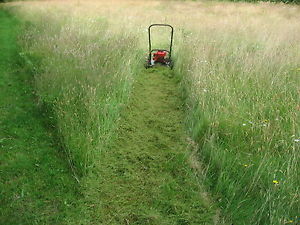 My lawnmower is fixed and the ridiculously long grass has been cut. Order has been restored to my life and all of the menial jobs I had been unable to accomplish have been triumphantly completed. I am currently sitting back with a glass of red wine, happy with the amount of tasks I have been able to complete over the last two days. Now it is time to get some balance back in my life. It’s time to allow the words to become more of a focus than the numbers – the number of people at the lodge, the number of meals I serve and the number of steps I complete in a day. It’s time to get back to the things that feed my soul and not my punch card. Are you there, blog? I’m back….and I’ve missed you. ← What is THIS lovely fragrance? I’m happy to hear things are settling down, Susan. Enjoy the peace!